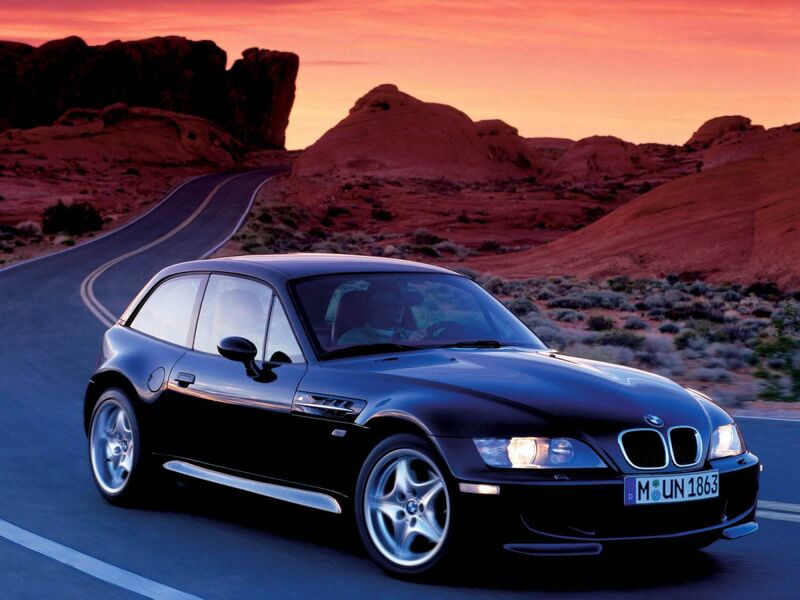 The Z3M Coupe. Lauded by many and derided by others, it remains a marmite car – an undoubtedly raw, exciting and capable alternative to the more common BMW M models, but one whose styling and image doesn’t appeal to all. 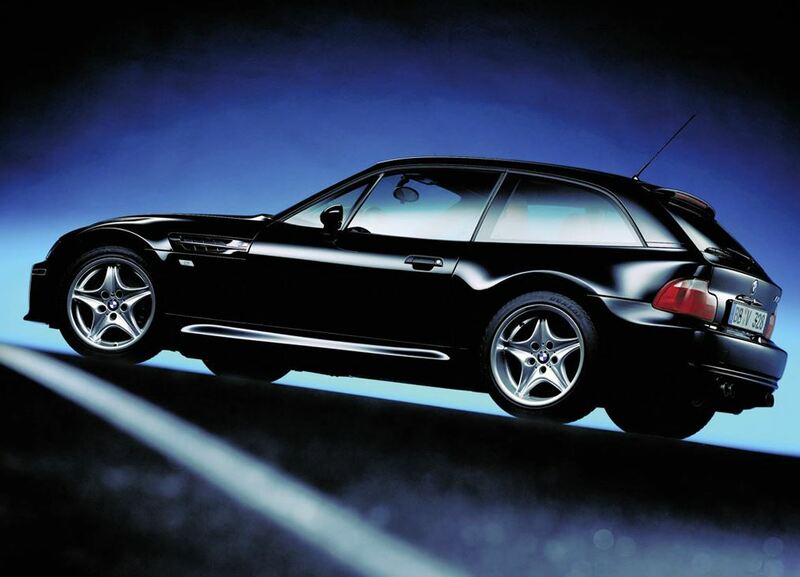 It’s no secret that the Z3 M Coupe may never have existed at all if not for the protestations of lead engineer Burkhard Goschel. Dissatisfied with the chassis flex of the standard Z3 roadster and arguing that a true //M car needed to be much stiffer, he successfully convinced BMW to let him and his team – albeit, on a limited budget – work on producing a fixed roof version of the Z3 which could address some of the flaws of the existing car. The end result was a unique shooting-brake style body which was unlike anything BMW had ever produced before. Despite the obvious Z3 underpinnings and aesthetics, the Z3 M Coupe was very much its own animal, with the addition of the roof transforming the profile of the car and necessitating a completely redesigned rear end. The changes were not just for aesthetic effect though. Goschel’s initial goal – to stiffen the torsional and structural rigidity – was met, with a static structural stiffness of 16,400 newton metres (2.6 times stiffer than the convertible). The immediate effect of adding structural stiffness helped to counter not only the chassis flex, but one of the other main criticisms of the standard Z3 – its use of an antiquated semi-trailing rear arm suspension setup which had been used previously on the ’80s E30 3 series. Adding a fixed roof alleviated some of the burden on the rear arms, reducing the effects of bump steer on less than smooth roads and making the handling characteristics more benign. Engine fitment mirrored that of the M roadster version. The Coupe was originally released in 1998 with the S50, the same 321bhp 3.2 straight-six that was used in the E36 M3 Evo. 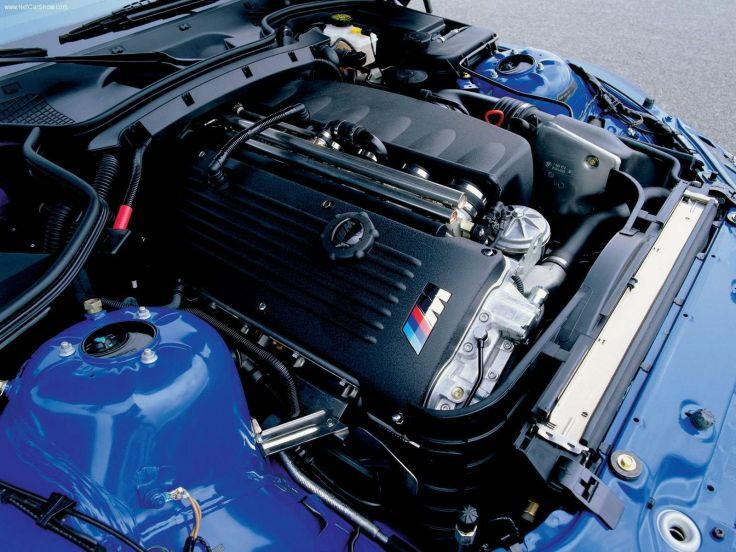 In 2001, that engine was switched to the S54, a 325bhp revision of the engine that was also used in the E46 M3. On paper the only major difference was a 4bhp power increase, but in practice many owners have noted that each engine has its own unique characteristics and many have a preference for one or the other. In some markets, it was also possible to buy a non //M-spec version of the car with a 2.8 engine. Contemporary road tests were hugely favourable. Many praised the the car’s dynamic qualities; sharp and flat cornering married to a dynamic RWD setup and steering which offered superb feedback. Combined with a strong engine which liked to rev, this made for a very entertaining drive and a car which could be coaxed easily into natural, progressive oversteer. 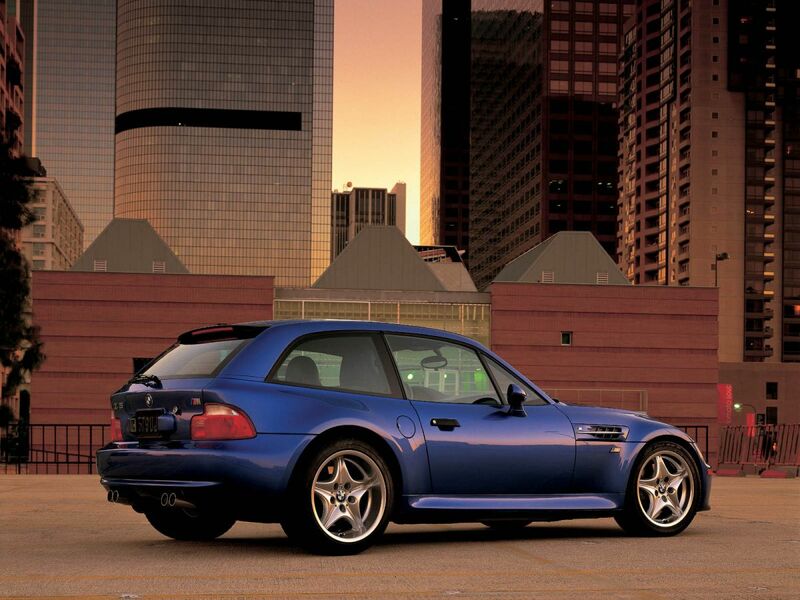 Despite its capabilities and the huge sales success of the Z3 roadster, the M Coupe version never achieved the same kinds of figures. Many have attributed this to its aesthetics which seemed almost contradictory at times – it was a roadster which had been turned into a coupe; it had a hatch but wasn’t a hatchback; it had a long, estate-like shape but was resolutely a sports car. This generally invoked a strong reaction in that those viewing the car tended to either love it or hate it. Time has been somewhat kind to the Z3 M Coupe though. Whilst still undeniably unconventional in its looks, the rise in popularity of modern ‘shooting brake’ styled cars like the Ferrari FF and the further discombobulation of the traditional hatch/coupe style (such as the 1 series, Astra GTC and so on) has made the M Coupe’s styling much more palatable nowadays. Coupled with its rarity and appeal as a driver’s car, this has resulted in rising values: where once you could buy an example for £15k, they are now in the high 30s/low 40s for last-off-the-line S54 models. With only 609 models ever sold in the UK and that number reducing on an annual basis as more cars fall prey to rust and ditches, it would seem that now is the time to get on the ladder if one of these highly iconic and collectible models whets your appetite. Gaz is an avid car enthusiast who has been part of the RMS admin team for over 10 years. In his spare time he enjoys writing car articles, teaching his son bad manners and fantasising about his lottery win garage. Love them, much nicer than the Z4M. Can't believe they are high £30k's, I can remember them at £15k :(. I remember one at £12k ......... should have bought it. I think they've aged tremendously, they seem to get more love now than when they were just out. I was largely lambasted on here last time I gave my opinion years back. Oddly enough they've grown on me with age! Wasn't keen on these when they came out but my goodness they have grown on me . That looks incredible . Not sure I'd agree there, I actually think Bangles bulky e60 design is aging badly! Would have one of these over any of the new M cars. | Not sure I'd agree there, I actually think Bangles bulky e60 design is aging badly! Really? I think they haved aged quite well but I have a soft spot for them so that may also play a factor haha. Well apart that every E60 is now an SE wearing an M Sport kit and dragging its arse off the ground but thats another story lol.